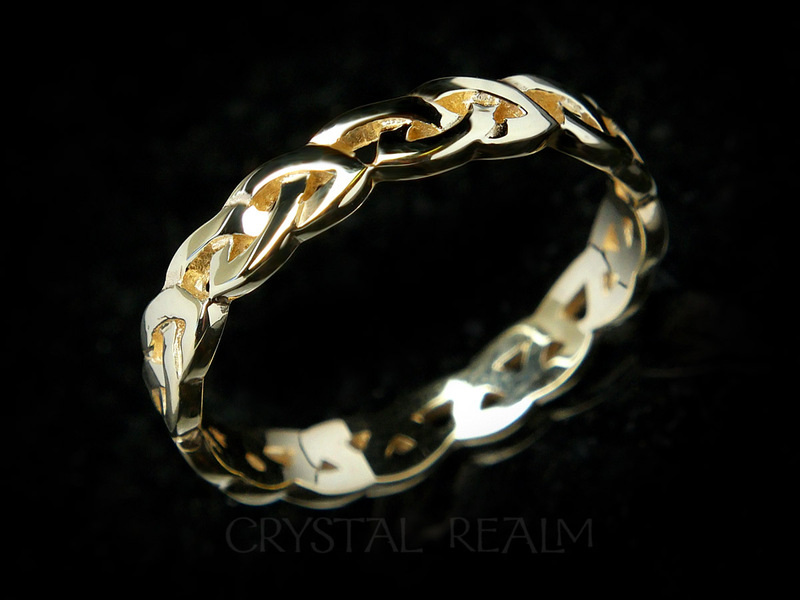 May love and friendship reign. 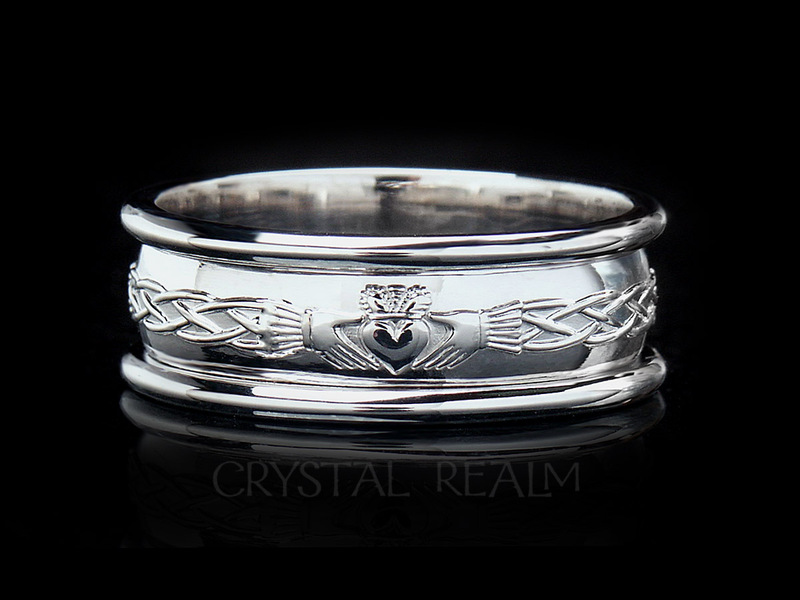 With claddagh symbol – hands, heart and crown – spaced three times equidistantly around the ring and with endless knotwork in between, this gorgeous ring represents the noble ideal of love, loyalty and friendship in marriage. 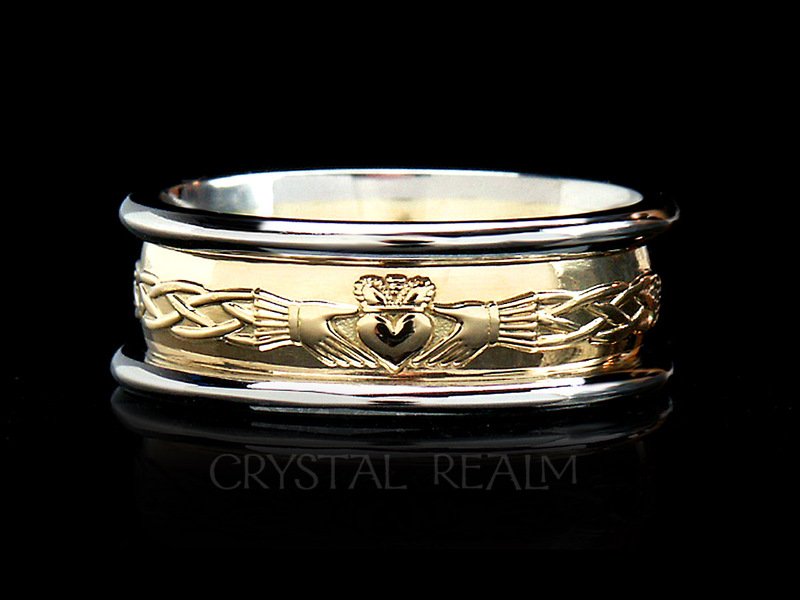 The claddagh is an Irish symbol of love dating to the 17th C, when it originated in the fishing village of Claddagh near the city of Galway in Ireland. 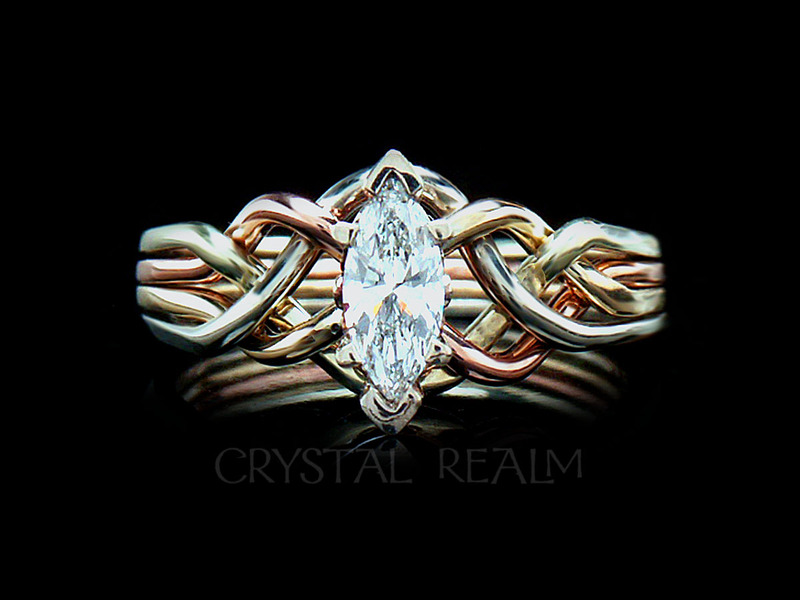 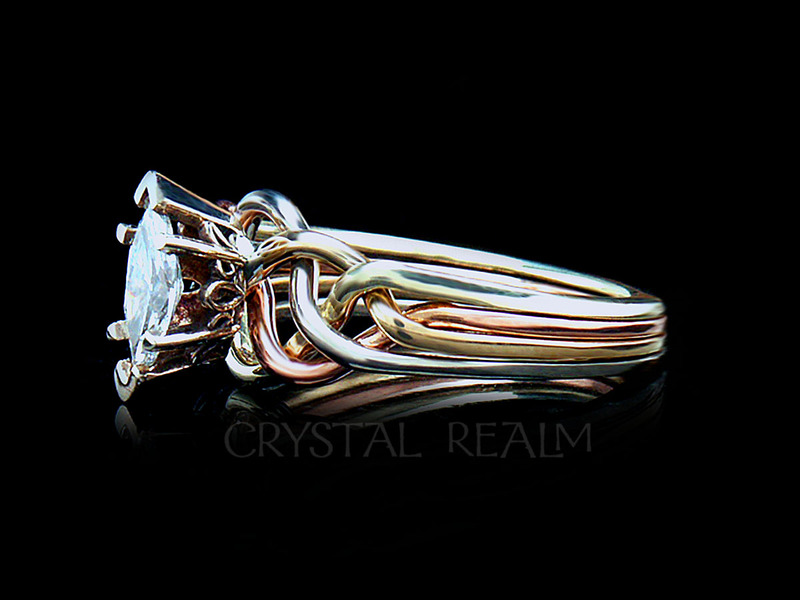 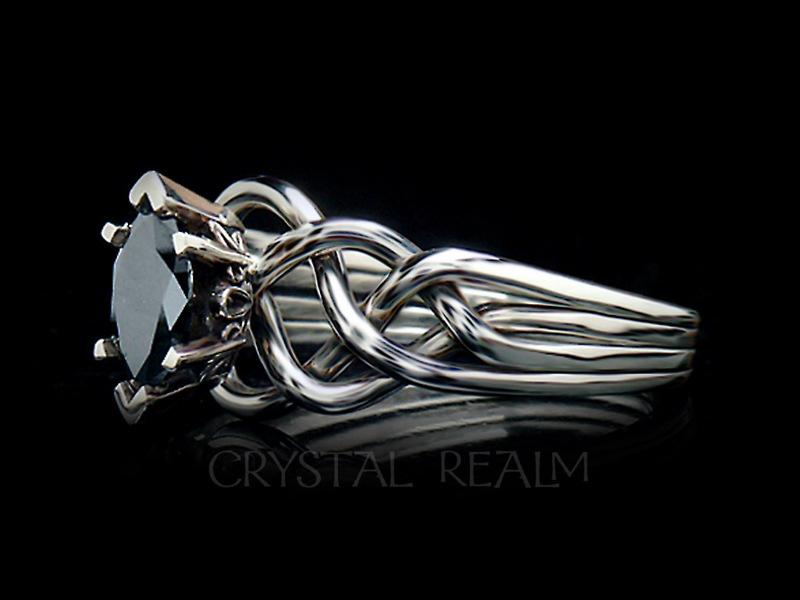 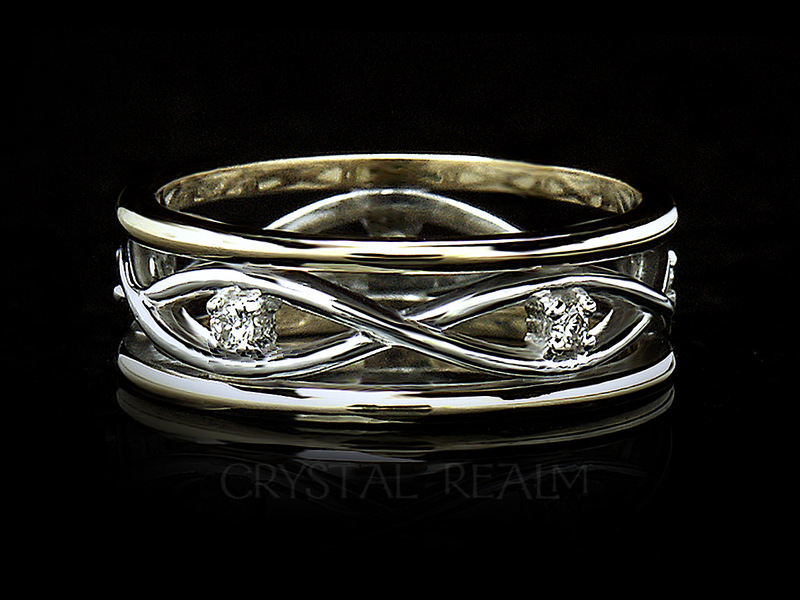 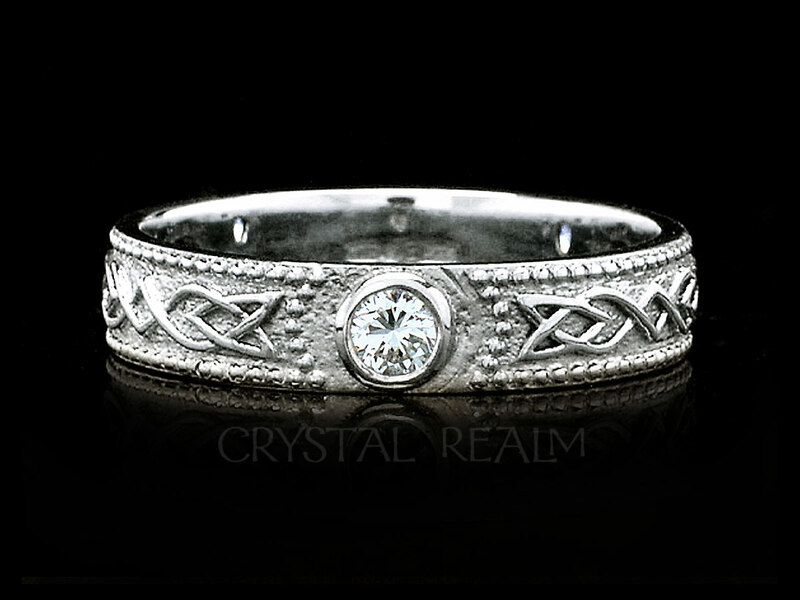 It was during the reign of Queen Mary II that the ring was first made, and it has been a beloved tradition ever since. 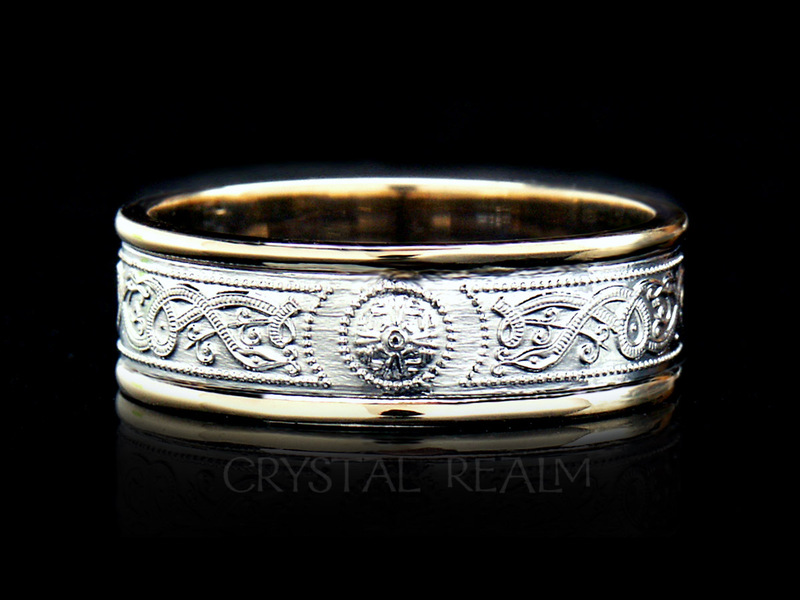 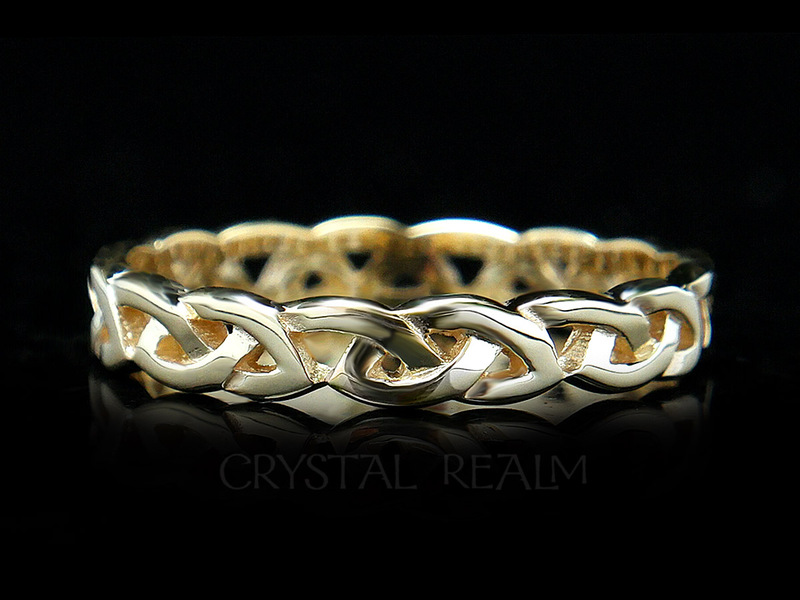 Precious metals: 14K yellow gold center with heavy 14K white gold trim. 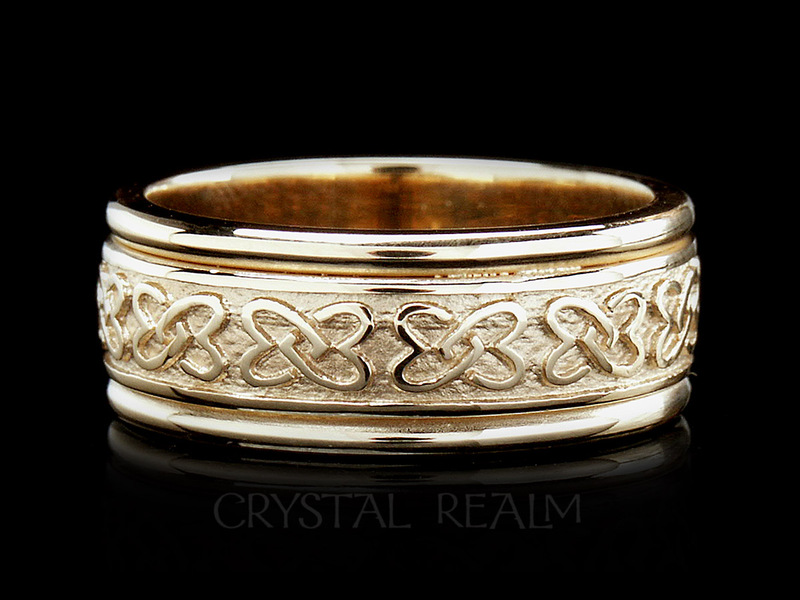 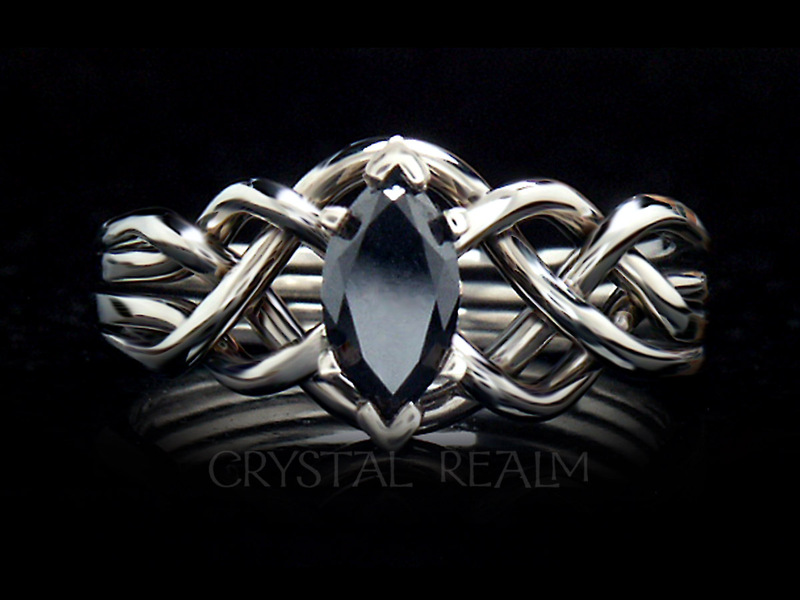 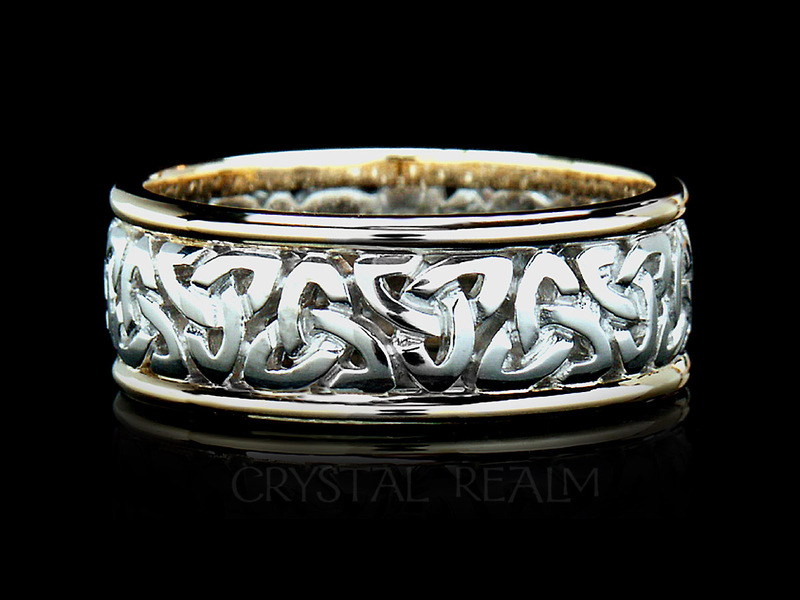 Celtic whole and half sizes 4-12.5; width 7.6mm. 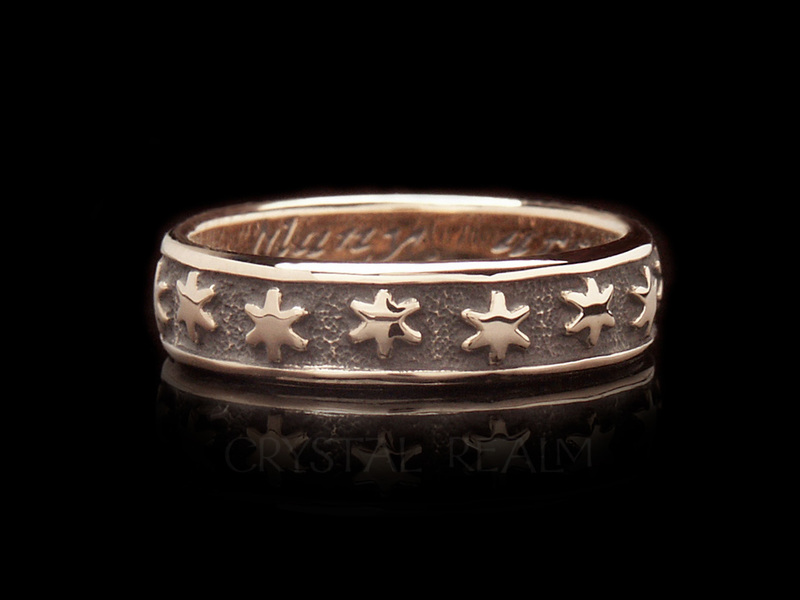 For reference, 6.4mm equals one-quarter inch.